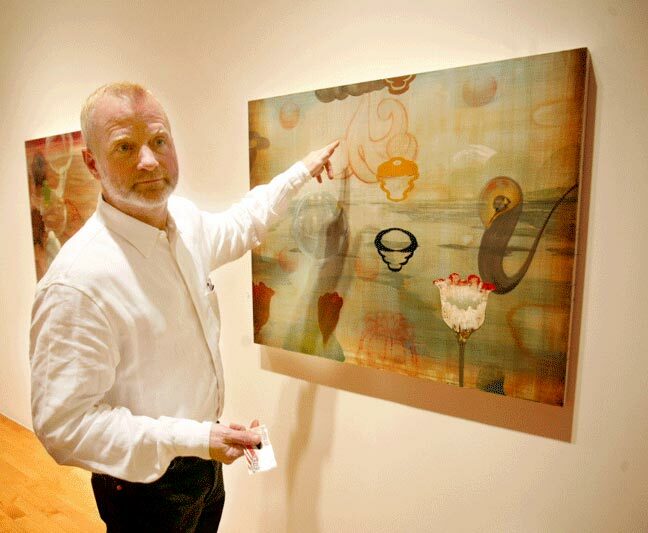 Timothy McDowell received his BFA from Midwestern State University and his MFA from the University of Arizona. In 1981, he joined the Connecticut College as a professor of Studio Art, a position he still enjoys today. Over the years, McDowell’s art has concentrated on several mediums. During the past twenty years, he has worked primarily in encaustic as well as oils; produced paintings, prints and works on paper. McDowell’s work has been exhibited nationally and internationally with representation here in the U.S. and Canada. Collections include The Metropolitan Museum of Art Print and Drawing collection, The University of Iowa Museum of Art, The New Mexico Museum of Art, the Tucson Museum of Art, Fidelity Investments, J.P. Morgan, A. G. Rosen Collection, The Benziger Family Winery Collection and others.